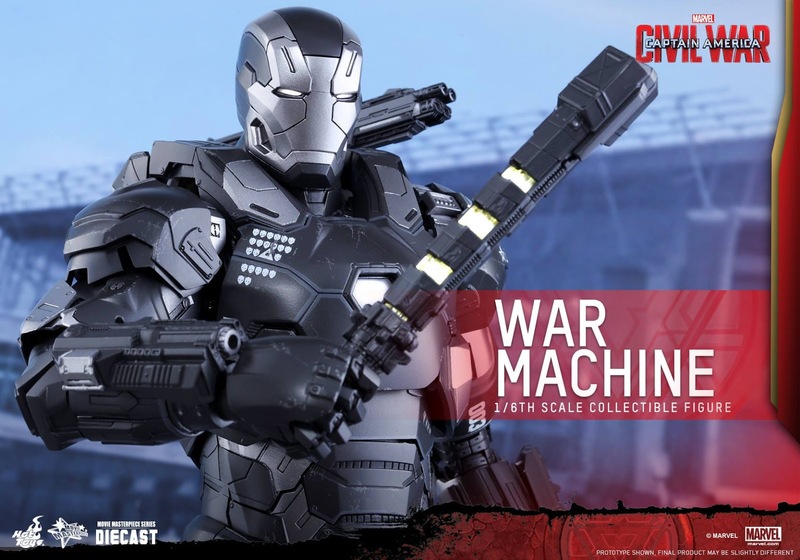 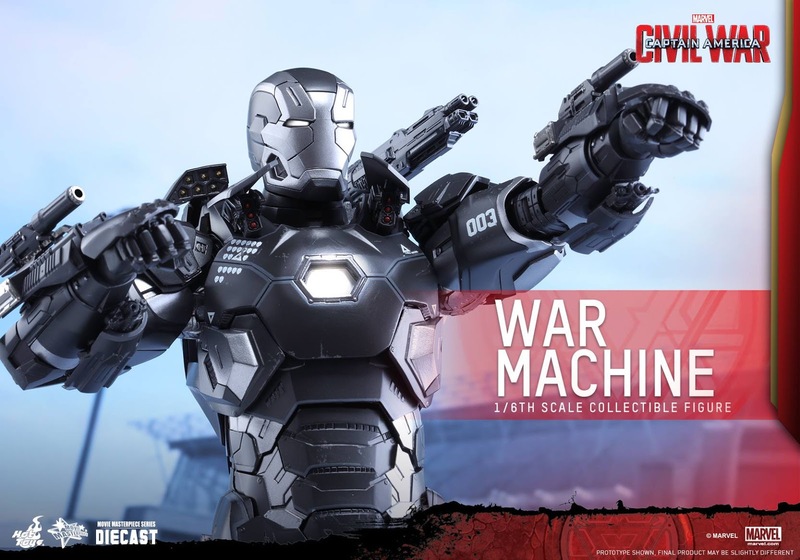 Hot Toys Updated CA: CW 1/6th scale War Machine Mark III. 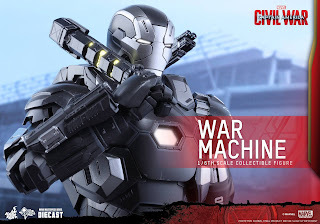 Hot Toys have announced upgrades for War Machine from CA: Civil War. 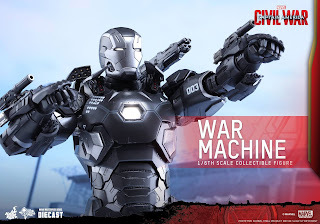 Check out details below straight from HT! The Hot Toys MMS Diecast 1/6th scale War Machine Mark III collectible figure from Marvel’s Captain America: Civil War has captured many fans’ attention upon its first official reveal with its new armor design and weapons! 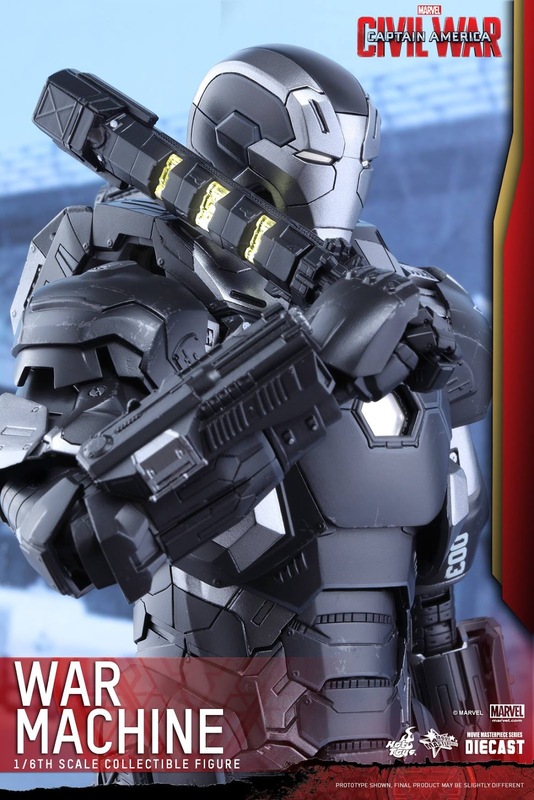 Today we are delighted to share great news with you all on the updates we are making to this stunning figure! 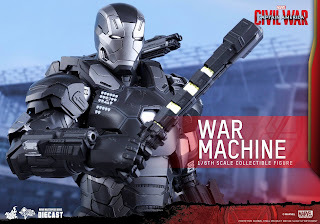 The Hot Toys War Machine Mark III will be updated with movie-accurate weapons and arsenals used by James Rhodes as seen in the epic blockbuster! Fans who have already pre-ordered this collectible figure will be able to enjoy all these updates, and for those who haven't done so yet, don’t miss the chance to add this heavily-armed collectible figure to your display!